Here at Cars And Modifications, we want to pay tribute to some of the cars that inspired us to love and appreciate cars. One such car is the famed Lancia Stratos. This car has come into the spotlight again recently due to a modern version being conjured up by one wealthy individual based off the Ferrari F430. 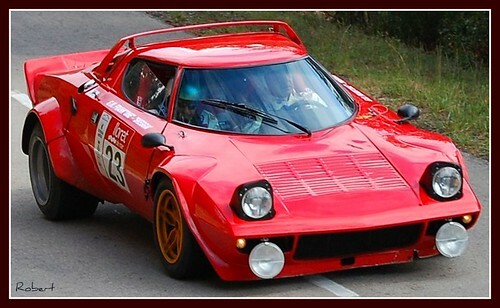 The original Lancia Stratos HF received it’s power also from a Ferrari, but it was a V6 from the Dino Ferrari. Even with a 190HP V6, it produced incredible 0-60 times that are still nothing to scoff at to this day. It dominated many rally races thanks in part to a Turbocharger slapped onto it’s motor in Group 5 Competition. Why did it inspire us? It’s unique body lines and no compromises attitude with rally heritage says it all. This is a vehicle I will continue to lust after for a long time. Who wouldn’t want to modify one of these into an SCCA RallyCross car?